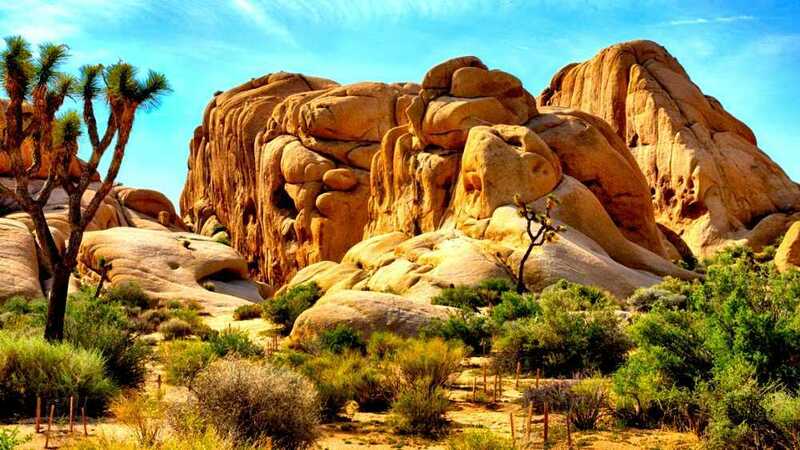 The deserts of Southern California are beautiful, but can be forbidding. I spent the weekend visiting my brother in Palm Desert. On Friday, I took a ride out to Desert Hot Springs to revisit Cabot Yerxa’s Old Indian Pueblo Museum. Simultaneously, I have been reading Yerxa’s collection of newspaper columns for The Desert Sentinel, written, with a few interruptions, between July 1951 and December 1957. They have been published in a book entitled On the Desert Since 1913 by Cabot’s Museum Foundation. The cabin was swept and dusted, beds made up fresh, dishes put through a bath of soap and water. Then holes in the roof were repaired and firewood gathered. Boxes of groceries were opened, and it gave us a great sense of security to see packages of food on the shelf. We, very few of us, would see a store again for seven months, but we cared not. There was flower and yeast to make bread, sugar, salt, dry beans, cornmeal, canned milk, molasses, and a few other items to make many meals. But the greatest overall joy, with a thankful feeling of independence and satisfaction, was the fact that the land under our feet was ours! To no man must we pay rent or tribute for water, gas, electricity, phone, newspapers, or streetcar rides. We were free men in a new, clean, fascinating world. Yesterday it rained for the first time in nine or ten months, and the desert was drenche. Just a steady, slow rain without any blustering wind. The sandy soil absorbed the welcome moisture completely and none ran off. The greasewood bushes opened their leaves, which are folded close together for protection during dry weather, and the damp air was full of their clean, haunting fragrance. All the sparse desert growh of bunch grass and small plants, usually quite brittle, were as limp and soft as though made of pretty colored rubber. This post is the first in a series to be called Desert Dreamers. Tomorrow, I will write about his Pueblo Museum and what is to be found there. In future posts, I will write about other California Desert authors, most particularly Mary Austin. This entry was posted in reading, southern california and tagged cabot's-museum, cabot-yerxa, desert-dreamers. Bookmark the permalink.